The VB-3607 is the cost effective solution designed for transmission of Quad Link 4K video or four 3G/HD/SD/ASI TV signal paths over just one single-mode fiber optic cable. 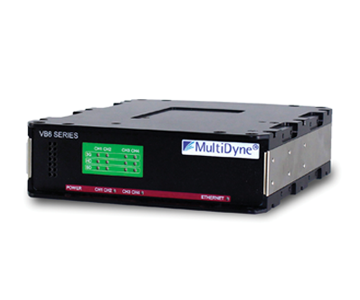 Available in stand alone or rack mount configurations, the VB-3607 provides flexibility in how you handle your SDI signal transport. 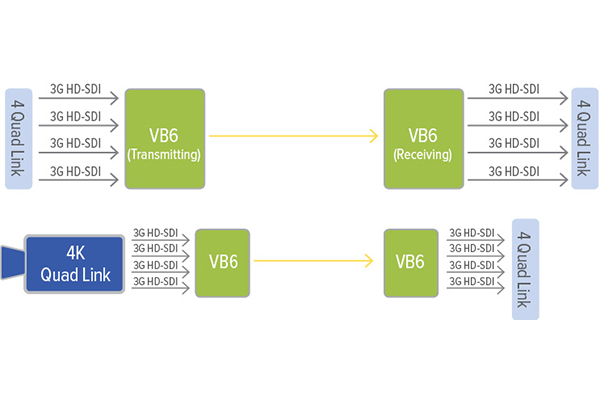 Capable of handling SDI rates from 5 Mb/sec all the way up to 3 Gb/sec uncompressed, the VB-3607 has been designed for OB operators and anyone who needs to trunk multiple uncompressed SDI signals over fiber. Embedded audio is fully supported. All outputs are non-inverting and ASI capable. Also available with Anton Bauer or V mount battery plates for battery powered operation. Designed and manufactured in New York.